This year's Bratfest is on October 13th, 2018! Bratfest starts at 6 pm at 501 East Roger Rd, Tucson AZ. 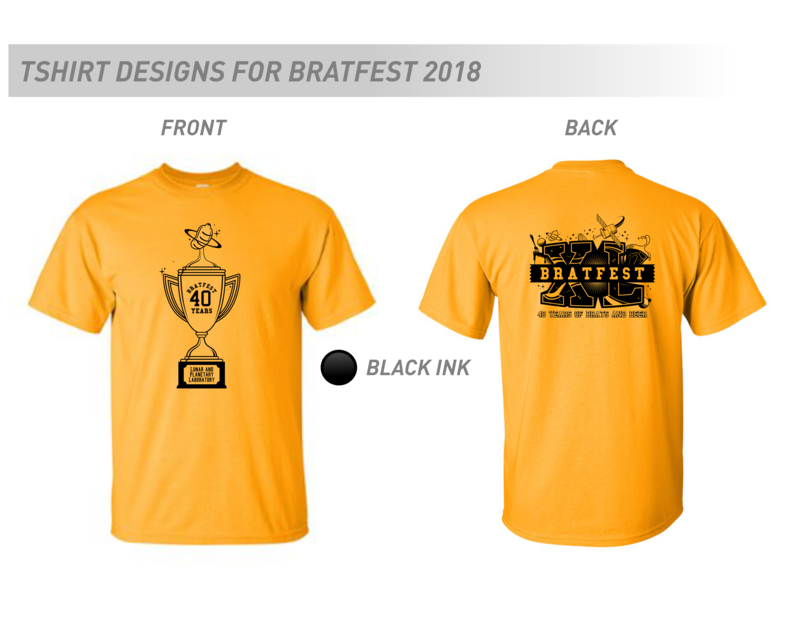 Fill out the form below to order your Bratfest t-shirts, sponsorships, and entry donations! After you submit the form, you will receive a confirmation email with your order total and information about ways to pay. T-shirt sizing: Men's is a standard t-shirt. Women's runs in junior sizes. For women's t-shirt sizing information, see the Gildan Measurements Guide. Please order your t-shirts by October 4th or we may not be able to guarantee the size/style. We are happy to ship t-shirts to you if you're ordering from out of town. Just include your address in the form, and we'll add a $5 shipping charge to the order. If you order a t-shirt and a sponsorship, we'll waive the shipping charge! If you need to make changes after placing an order, email PG4gdWVycz0iem52eWdiOnljeW9lbmdzcmZnQHR6bnZ5LnBieiI+eWN5b2VuZ3NyZmdAdHpudnkucGJ6PC9uPg==. Shipping to an address is $5 or free if you're a Bratfest sponsor. On campus delivery is free.